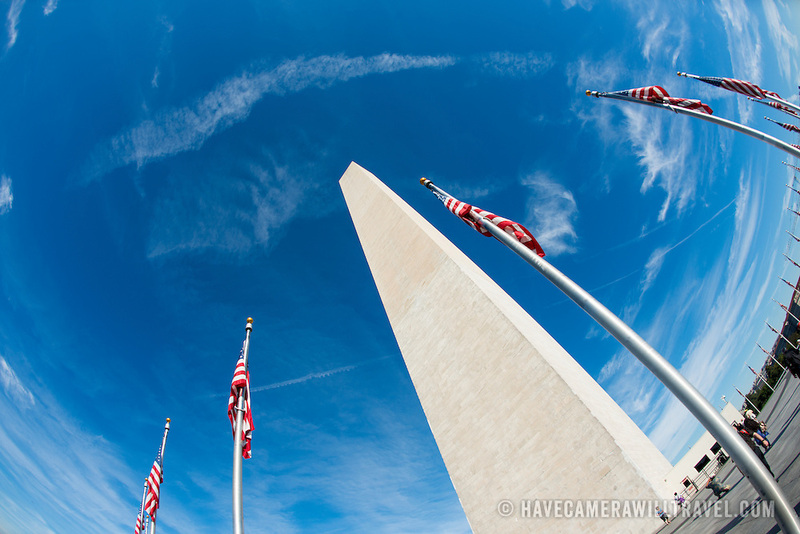 A fisheye lens view of the Washington Monument on a mostly clear day. The Washington Monument stands at over 555 feet (169 metres) at the center of the National Mall in Washington DC. It was completed in 1884 and underwent extensive renovations in 2012-13 after an earthquake damaged some of the structure.